The imbroglio continued in the House of Commons later that day, with Opposition MPs accusing Sajjan of “stolen valour.” From what I can gather, this term is normally used to describe the dishonourable act of wearing service medals or other military honours that one did not earn, or it can refer to an imposter who wears a military uniform without having served in the armed forces. However, no one disputes the fact that Sajjan earned his campaign and service medals and other military honours during his tours of duty in Afghanistan as a Major and Lieutenant-Colonel in the Canadian Army. For outstanding professionalism and courage as the Special Advisor to American Coalition Forces in Afghanistan. In September 2006, his understanding of counter insurgency tactics assisted in the effective planning and execution of an operation to secure key terrain in the Panjwayi/Zhari District. Major Sajjan deployed to Afghanistan as a special advisor from February to November 2009, and from November 2010 to March 2011. His approach, based on his knowledge of local culture and tribal dynamics, helped senior management to engage with influential Afghan tribal leaders, and led to the identification of insurgent command and control connection points. Taking every opportunity to deploy forward to refine his leads, Major Sajjan provided critical situational awareness and reduced the Taliban’s influence in Kandahar province through his sound analysis. 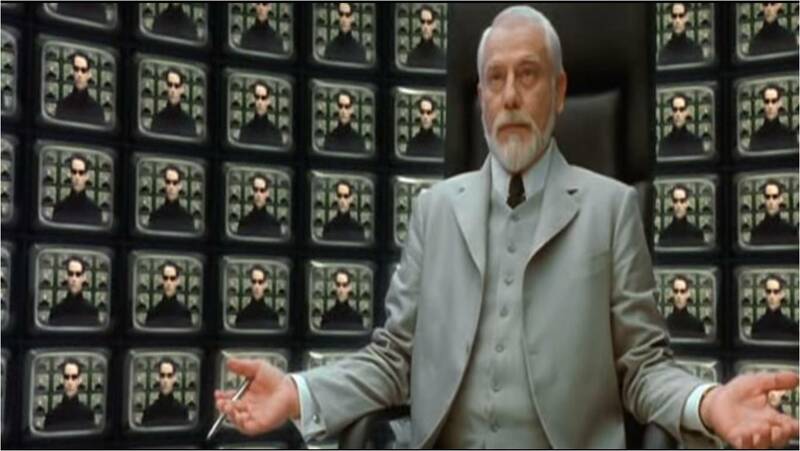 The citation for his Mention-in-Dispatches does not refer to Operation MEDUSA by name, but MEDUSA matches the description of an operation in September 2006 that took place in Panjwaii. 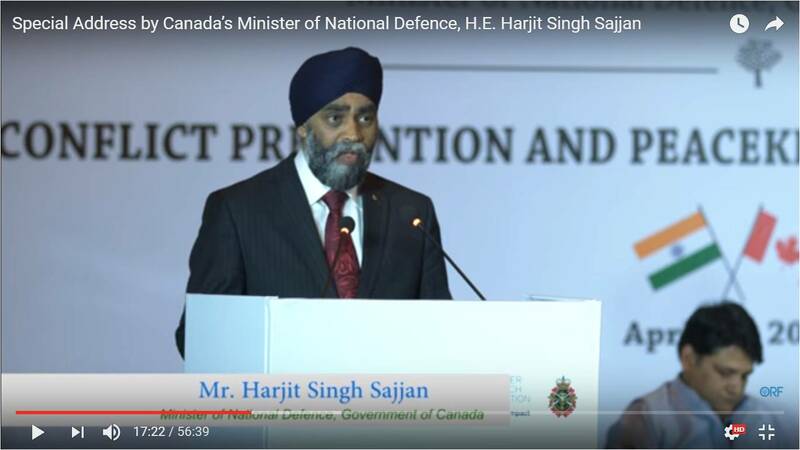 It is highly probable that if Minister Sajjan had quoted the citation for his Mention-in-Dispatches and said that he “assisted in the effective planning and execution of Operation MEDUSA,” rather than claiming to have been its “architect,” his remarks would not have caused any controversy. On 3 May 2017, Conservative MPs James Bezan and Candice Bergen introduced on the Notice Paper a motion of non-confidence in Harjit Sajjan alone, as an individual Minister. That the House has lost confidence in the Minister of National Defence’s ability to carry out his responsibilities on behalf of the Government since, on multiple occasions the Minister misrepresented his military service and provided misleading information to the House. The object of this motion — expressing non-confidence in an individual Minister of the Crown and calling for his resignation — is unconstitutional because it contradicts the principles of Responsible Government, namely those of collective ministerial responsibility and cabinet solidarity. The House of Commons possesses the authority to withdraw its confidence from the Ministry as a whole, but not from individual ministers. From a political standpoint, the Opposition is trying to embarrass the Government and create the circumstances under which either the Prime Minister would remove Sajjan from cabinet, or Sajjan would tender his own resignation. The Trudeau government has, in response, used its authority to control the agenda of the House of Commons to move the Supply Day originally scheduled for tomorrow to a later date. Rona Ambrose, as Interim Leader of the Conservative Party of Canada should know better because she herself was subject to a spurious unconstitutional motion of non-confidence in her, as an individual, when she served as Minister for the Environment in 2007. (For a full account of this incident, please see this post from January 2017, “On Collective Ministerial Responsibility and Impeachment). Ian Brodie, Prime Minister Harper’s Chief of Staff from 2006 to 2008, wrote about this incident in his recent article for The Dorchester Review, “Harper the Constitutionalist,” and pointed out that the object of Cullen’s motion was unconstitutional. On 21 June 2006, New Democratic MP Nathan Cullen introduced a motion during a sitting of the Standing Committee on Environment and Sustainable Development “calling on the Government of Canada dismiss the Minister of the Environment from her current cabinet position” because the Opposition disagreed with the Harper government’s environmental policies. That the Standing Committee of the Environment and Sustainable Development call on the Government of Canada dismiss the Minister of the Environment from her current cabinet position and that this decision be reported to the House. The Chair ruled the motion out of order. Cullen appealed this decision in the Commons, and Speaker Milliken wisely sustained the committee chair’s ruling. Unfortunately, Milliken did not comment on the anti-constitutionality of Cullen’s motion. While the motion against Ambrose pertained to the Harper government’s policies and that against Sajjan pertains more to his personal conduct, the principle remains the same: the House of Commons can only withdraw confidence from the ministry collectively, not against individual ministers. Another angle of this story also revealed the importance of individual ministerial responsibility and the principle of civilian control over the Canadian Armed Forces. Murray Brewster asserted in his column on 30 April 2017 that the refusal of Chief of Defence Staff General Vance to comment on Minister Sajjan “spoke volumes.” Indeed. It speaks volumes to the principles that Crown servants (civilian and military) do not contradict or speak out against their Minister in public, because it is the Minister, not Crown servants, who takes responsibility for his department in the House of Commons. This is the essence of individual ministerial responsibility. Furthermore, the Chief of Defence Staff has an additional role and analogous responsibility to uphold the principle of civilian control over the Canadian Armed Forces. The Chief of Defence Staff is responsible “for the command, control and administration of the Canadian Armed Forces” and “is accountable to the Minister of National Defence for the conduct of all CAF activities.” Similarly, on the civilian side, the Deputy Minister of the Department of National Defence, who also reports to the Minister of National Defence, would never comment or offer his personal opinion on a controversy surrounding the Minister at a press conference or in any other public forum. The same rule applies to all departments of the executive, for each of which a Minister of the Crown is responsible. The Commissioner of the Canada Revenue Agency would never criticize the Minister of National Revenue, and the President of the Canada Border Services Agency would never criticize the Minister for Public Safety. The neutrality and integrity of the civil service, and our system of Responsible Government itself, depend upon these basic norms. Individual ministerial responsibility emerged very early on in England. Collective ministerial responsibility evolved later and had firmly established itself in the United Kingdom by the mid-19th century. It then also emerged in the Province of Canada between 1841 and 1848. The rationales for collective ministerial responsibility and cabinet solidarity are the stability and accountability of the ministry. Without collective ministerial responsibility, the ministry could not act cohesively or coherently and would instead be a collection of disparate ministers pursuing contradictory policy aims. Collective ministerial responsibility and cabinet solidarity stem from the practical matter that there is only one Crown and that Ministers of the Crown must take responsibility for all acts of the Crown.16] It also reflects the primacy of the prime minister within the ministry, given that the tenure of the prime minister determines the tenure of the ministry as a whole. The House of Commons does not possess the authority to withdraw its confidence from an individual Minister, so this motion should be ruled out of order because it contradicts the principles of Responsible Government. And Her Majesty’s Loyal Opposition should only oppose the policies and decisions of Her Majesty’s Government — it should not call into question the basic principles and conventions of our system of government itself. The Honourable Harjit Sajjan, Speech to the Observer Research Foundation, 18 April 2017. Minister Sajjan, Keynote Address to Observer Research Foundation, New Delhi, 18 April 2017. The Honourable Harjit Sajjan, Post on Facebook, 29 April 2017. Kathleen Harris, “‘Stolen valour’: Sajjan faces calls to resign in wake of Afghanistan battle claim,” CBC News, 1 May 2017. Department of National Defence, Directorate of Honours and Recognition (DH&R), Mention in Dispatches, 1991-2016 (Her Majesty the Queen in Right of Canada, 2016), ix. Department of National Defence, Directorate – Honours and Recognition (DH&R), Mention in Dispatches, 1991-2016 (Her Majesty the Queen in Right of Canada, 2016), 187. Department of National Defence, Directorate of Honours and Recognition (DH&R), Meritorious Service Medal, 1991-2016 (Her Majesty the Queen in Right of Canada, 2016), 145. Canada, House of Commons, Notice Paper, 42nd Parliament, 1st Session, No. 169 (3 May 2017). Ian Brodie, “Harper the Constitutionalist,” The Dorchester Review, 6, no. 2 (2016): 36-37. Canada, House of Commons, Evidence: Standing Committee on Environment and Sustainable Development, 39th Parliament, 1st Session, Number 011 (21 June 2006), at 1 (Nathan Cullen). Canada, House of Commons, Debates, 39th Parliament, 1st Session, Volume 141, No. 046 (22 June 2006), at 2817 (Peter Milliken). Murray Brewster, “What Harjit Sajjan Really Did While Serving in Afghanistan: At ‘No Time Was He In on the Planning of Operation Medusa,’ Soldiers Tell CBC,” CBC News, 30 April 2017. National Defence and the Canadian Armed Forces, “Chief of Defence Staff: Role,” 14 September 2016 [accessed 4 May 2017]. Audrey O’Brien and Marc Bosc, House of Commons Procedure and Practice, 2nd Ed. (Ottawa: House of Commons and Editions Yvon Blais, 2009), 32-33. This entry was posted in Responsible Government. Bookmark the permalink.